I'm intrigued by the Bridget Jones-esque protag! Even though it's predictable, it does sound like a lovely novel with depth. 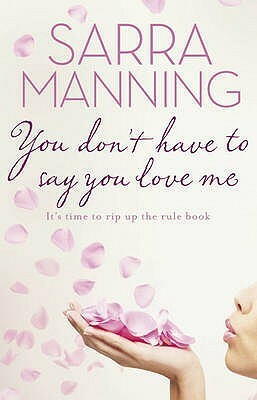 I've never read a Sarra Manning book but maybe I should rectify that. Hmm, I didn't actually think about those issues but now that you mention it, I probably have the same concerns. I just loved how real she made Neve and Max, instead of glossing over their respective issues. I liked that the weight factor weighs in all the time. And God, the sister in law was TERRIBLE. Ugh. I did not Manning's Nine Uses for an Ex-Boyfriend though. That one was infuriating and kept on going round and round in a circle. She has a new one coming out this year. Hopefully it will be marvelous. Great review, Keertana! Wow, for such a daunting book, I'm glad you were able to enjoy this one so much! Even though this book is pretty exclusive in terms of its topic, I really do love the sound of the main character and her relationship with Max. Sometimes, even if a novel is predictable, it's still fun to watch the process happening. ;) The main character does sound very real though, as does the voice, which is hard to find in books such as this sometimes. Confession time: I never really liked Bridget Jones. I know, I know. However, this sounds just different enough to make me want to read it. I love that Manning explores these insecurities, although like you, I wish she'd been a bit more ambitious about it and tried to deal with more than one issue and more than one type of woman. Still, since she created a likable and relatable heroine in Never, I suppose it's good enough. So now I have to find out if I'm right about those last few chapters. I just finished Adorkable and though it was so much fun, so I love that you've just reviewed another of the author's books. Especially an adult one. I actually like these predicable stories sometimes, so that doesn't really bother me. I'm especially excited about reading Neve's perspective (is this one just from her or is it split? ), because I love a likable, endearing heroine despite their faults. I just read Girl of Fire and Thorns so it's interesting that you're reviewing one that also is about a girl with weight issues. This book also makes me think a bit of Bet Me, because that heroine also had body image issues, and I really liked how she ended up accepting herself as she was. Great review! And glad you're back. I like the title of the book, I can't see it without having the song play in my head! I think it's the best Romance writers (the ones I tend to really enjoy) that can totally engross you in their characters and plots despite the fact that you essentially know the story cover to cover before flipping to the first page. I can totally see your issues with this one (I do have issues with girls whose happiness is defined solely by having men in their lives--you need to be happy by yourself first! ), but also the appeal of it. I REALLY want to read Manning's Unsticky at some point, it'll probably be my first of hers, but assuming that goes well I'll be turning to others.